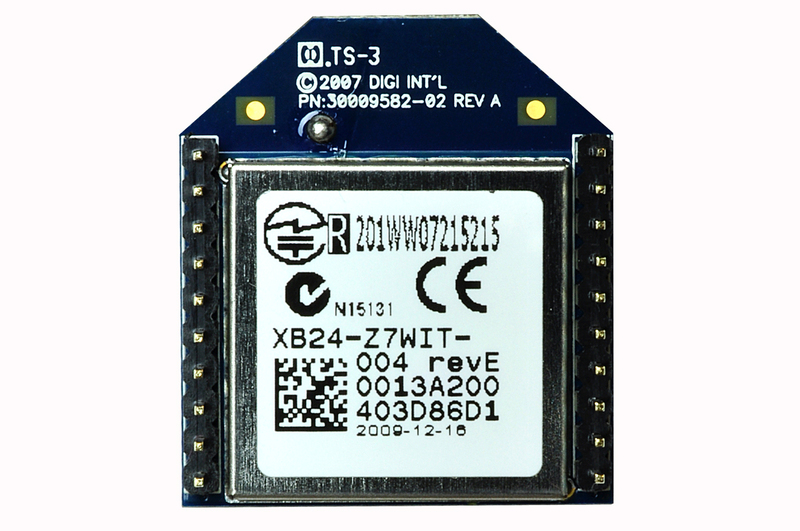 It is 2.4GHz 2mW (+3 dBm) XBee ZB module P/N: XB24-Z7WIT-004 from Digi International Inc. It can communicate up to 400 ft RF LOS range. 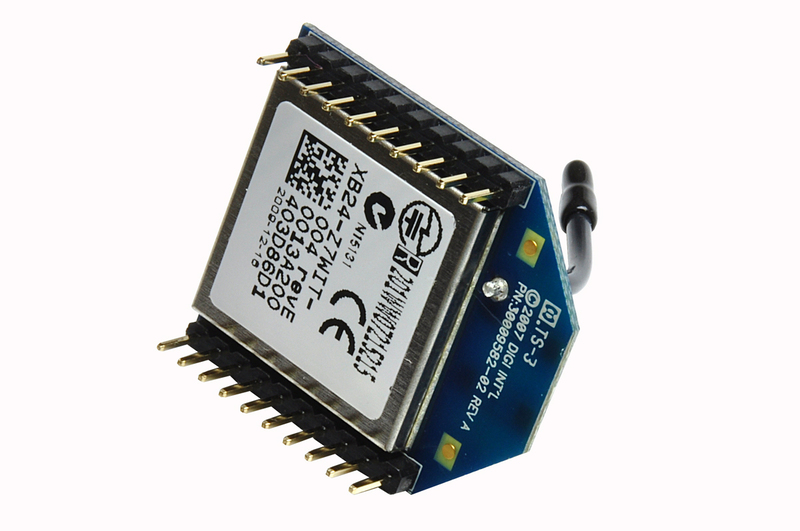 It is the most simple way to communicate serial (UART) over secure wireless network. 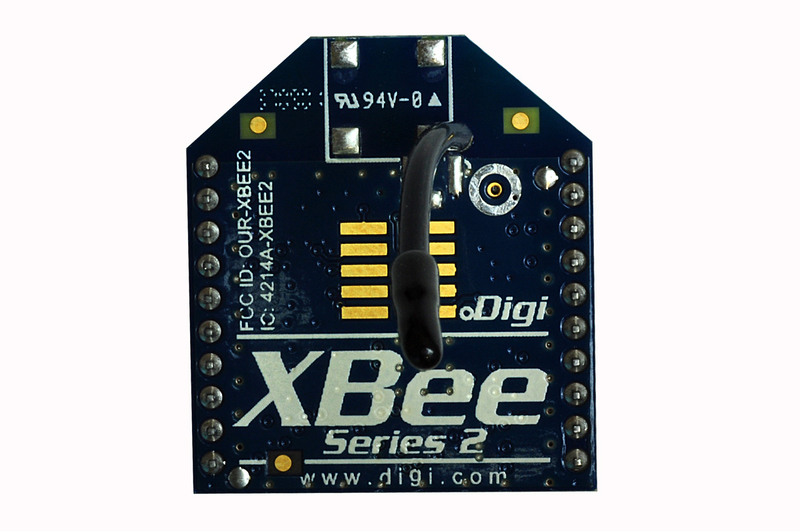 XBee ZB embedded RF modules provide cost-effective wireless connectivity to devices in ZigBee mesh networks. Utilizing the ZigBee PRO Feature Set, these modules are interoperable with other ZigBee devices, including devices from other vendors*. 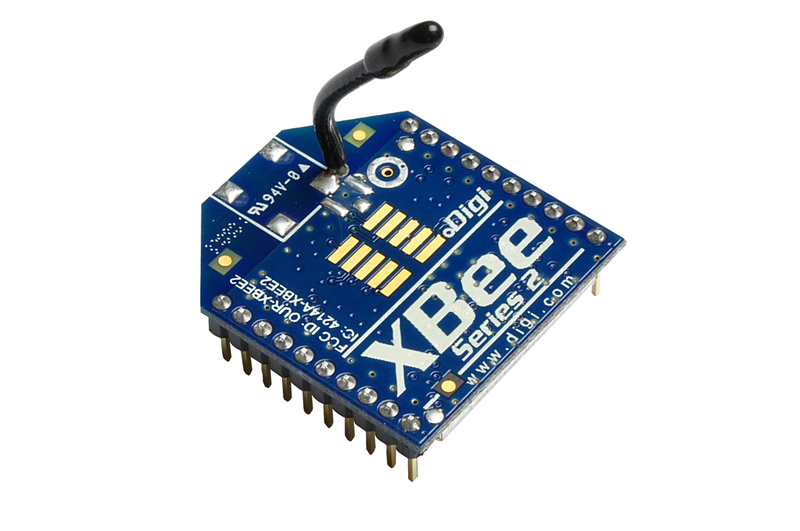 Products in the XBee family are easy to use. They require no configuration or additional development; users can have their network up and running in a matter of minutes. *Interoperability requires the ZigBee Feature Set or ZigBee PRO Feature Set to be deployed on all devices. Contact Digi Support for details.